Zappos was founded in 1999 and sold to Amazon for $1.2 Billion Dollars just barely over ten years later. Zappos is powered by its customer service and was built on the premise of WOWing each and every customer. It’s that WOW or should I say WOM that enhanced the value of their marketing and attracted a player like Amazon. In a world where User Generated Content has surpassed that of Publisher Content (ie marketers like you and me) I would argue that Word of Mouth (WOM ) is really your last frontier as a marketer and that outstanding customer service is not only the new marketing it’s your only marketing! The downside of poor customer service has been well documented on the web because social media acts as the accelerant to negative WOM (think Dell Hell, Motrin Moms, and most recently Nestle). But great customer service enabled by social is a no brainier. As I have said before customer service (or supporting existing customers) is the single best place to build your business case for Social Media. This is because it keeping existing customers happy and WOWing them with great service is always cheaper than acquiring new customers. Let’s face it, if you successfully implement social customer service, your customer service organization will be engaged with your customer more often and more frequently than traditional marketing channels. Doesn’t that mean customer service is now more important to shaping customer perceptions, brand preference and future purchase activity? 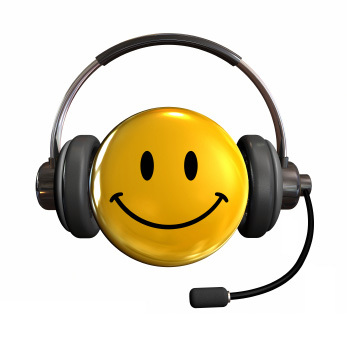 Most marketers are blissfully unaware of how things are going in their contact center. If you started an organization from scratch, I bet customer service and marketing would be the same thing like it was for Zappos. So why not treat it that way now? Ha Ha, that’s funny, jolly joke, because customer service was always part of the “old marketing”. People have been going on about it and writing books about it for the past century, so it can hardly be called new. People like Jan Carlzon “Moments of Truth” and Tom Peters (and we all know how long he’s been around.) to mention just two. Then there is of course Sam Walton who famously gave us the two rules about customer service. So just because Zasppo’s applied the oldest marketing tactic in the book and got fantastic results, doesn’t mean everyone is going to suddenly jump on the customer service bandwagon. I mean, they never have in the past, so there’s no reason to expect them to do so now. A few companies might have an “ah ha” moment and get it, a few more will try to copy the Zappo’s model without really getting it, but most will simply not have the brains or guts to do what Zappo’s did. It’s just human nature and has nothing to do with technology. I think just labeling it ‘customer service’ would be selling short what Zappos is all about. They are one the best examples of how overall customer experience (cx) can be a game changer and the backbone of a billion dollar business. What is the buying experience like? Do you make things turnkey or simple? Are you responsive to problems / issues? What are tangible and intangible benefits the service or product provides? Does the product or service go ‘above and beyond’ to exceed customer expectations? Are you giving that little unexpected extra to ’surprise and delight’ your customer? Zappos was just cited for the third time in Purple Goldfish Project (#107, #195 and #319). The Project cites examples of how companies differentiate themselves by ‘giving little unexpected extras’. On any given day Zappos receives 75 to 80% of its business from repeat customers. It’s not because they have a great call center. It’s because they build high value into their offering and they are extremely low maintenance to deal with at every touchpoint. @Mark – I agree – Customer Service is the last frontier and its easier for small companies to start out by giving great customer service or die trying! Very well written post. As the others point out, the concepts of customer centricity and great customer experience aren’t new. What has changed is that the rapid advance of social technologies has enabled companies like Zappos to expose their culture to the masses, not through one centralized PR person or marketing department, but through every employee in their company. Great companies with great cultures have the ability to grow exponentially because of the viral nature of the social web. Build a culture that puts the customer first, create an amazing customer experience every time, continually innovate, and enable customers, prospects, and employees to tell the world about it. Customers always have the last say in the marketing industry. Which is why their satisfaction is the top priority of every entrepreneur there is out there. @Contact Center Philippines – totally agree – thanks for the comment! Very interesting post. Good points. I guess in the end, we have to go back to the old “The customer is always right” way of doing things. Just a fun fact, if you ever need a yacht or boat shipped anywhere, Yacht Exports is your best bet. They have done a great job with me! I will continue to chip away at that goal now that I know the right vendor! I just had to say what great comments this story has generated. Lots of smart people reading this blog. @Tim Thanks! Im actually using Yacht Exports to do a job for me. Who would of thought! Spot on. I know in my personal life, the contact center very much shapes how I go about my business. On the business side, we overemphasize these points to our people. You just pointed out some highly thought provoking Viral internet marketing tips that my partners and I were discussing, relieved I ran into it, so thank you for that. It’s certainly an interesting topic. When you said that the biggest threat to a big business is a small business,it certainly made me stop and think. Here at Vendere Partners, our B2B lead generation experience corroborates your quote. I couldn’t agree more mate! Customer service plays a very important role in keeping customers coming back to avail whatever product or services we are offering. All of us may not be businessmen or entrepreneurs but we once in a while are customers too. Just one thing I don’t like with CS people sometimes, they think they are superior to us-customers. This kind of employees must be taught some lesson or get fired. Remember you are in a “service” must be “serving”.. just a thought.